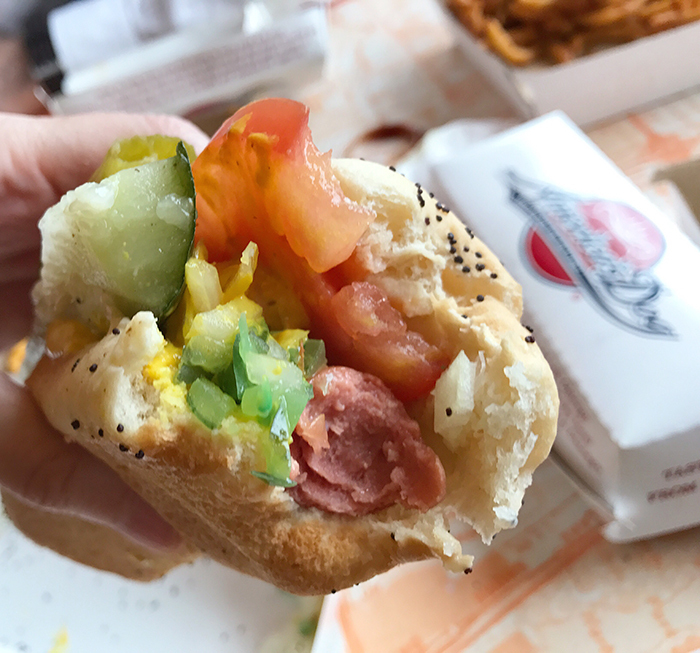 THE Best Hot Dog In Chicago! I am a fan of hot dogs. For the longest time, all I put on them was mustard. 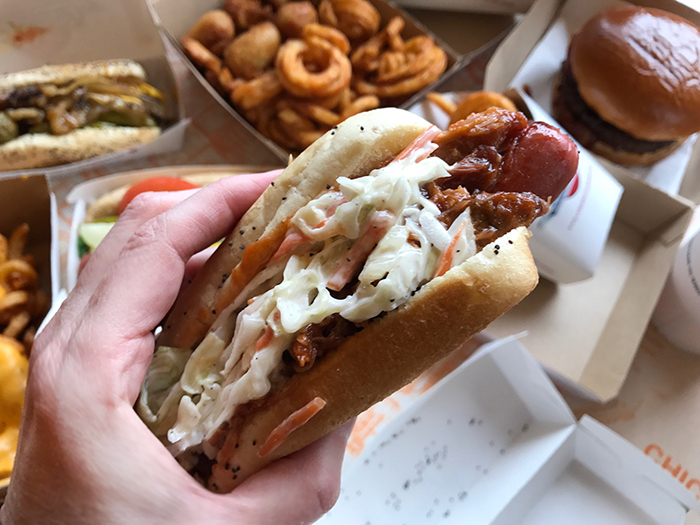 Guess what ... there's a lot more to put on a hot dog. In 1993, two brothers took a road trip across the country and sampled hot dogs in every city. They've crafted their menu from the best of what they tasted. And let me tell you ... they tasted some VERY good hot dogs! I can't believe I almost forgot to try the mini corn dogs. How did I NOT know that was a thing?! 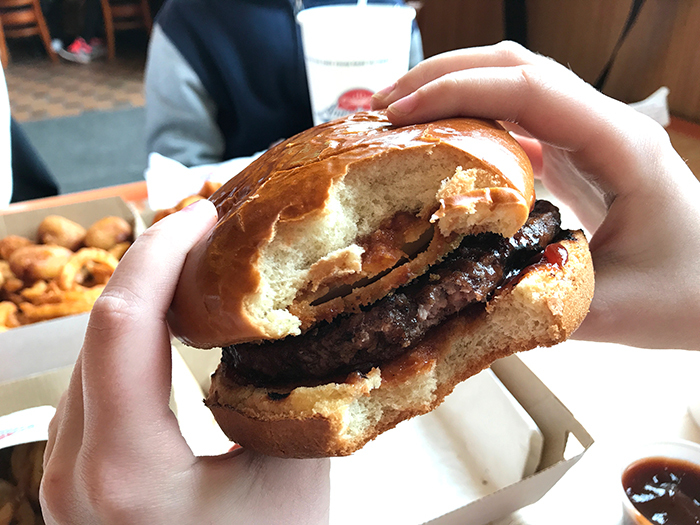 Don't worry if hot dogs aren't your thing, because we tried the burgers too. This is the roadhouse. 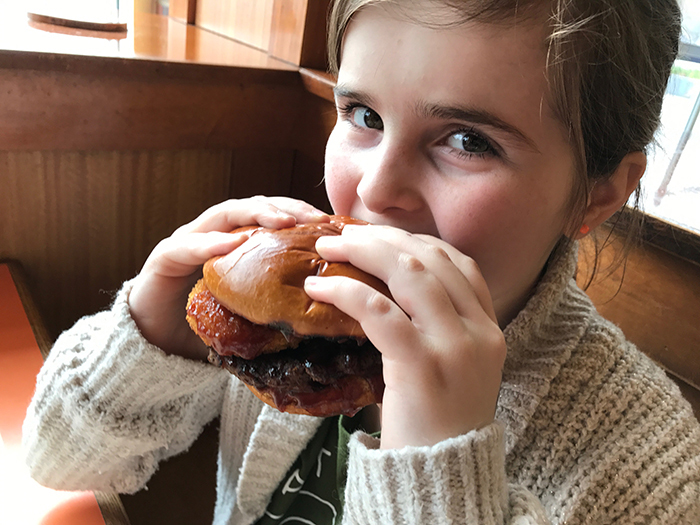 Needless to say, my daughter enjoyed every bite. My husband enjoyed a Maxwell Street Polish hot dog. Which has green onions, mustard and sport peppers. 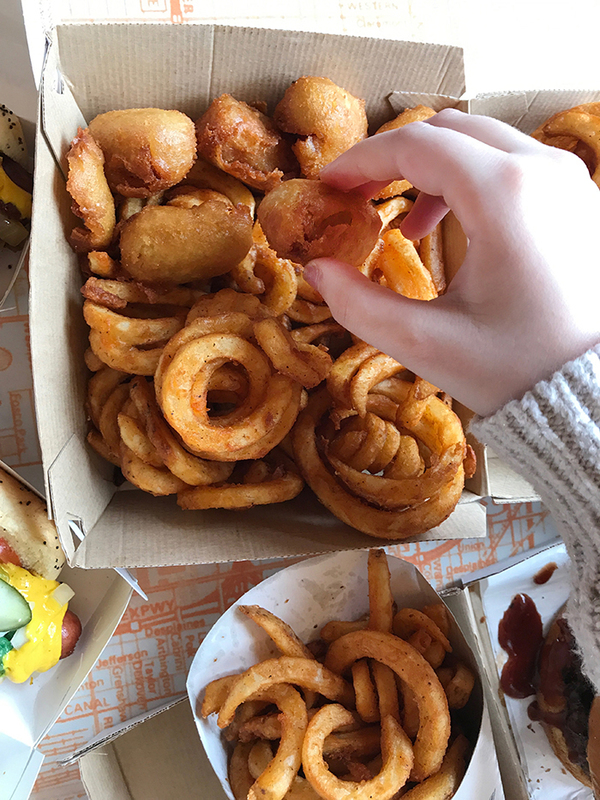 He enjoyed the signature curly fries. 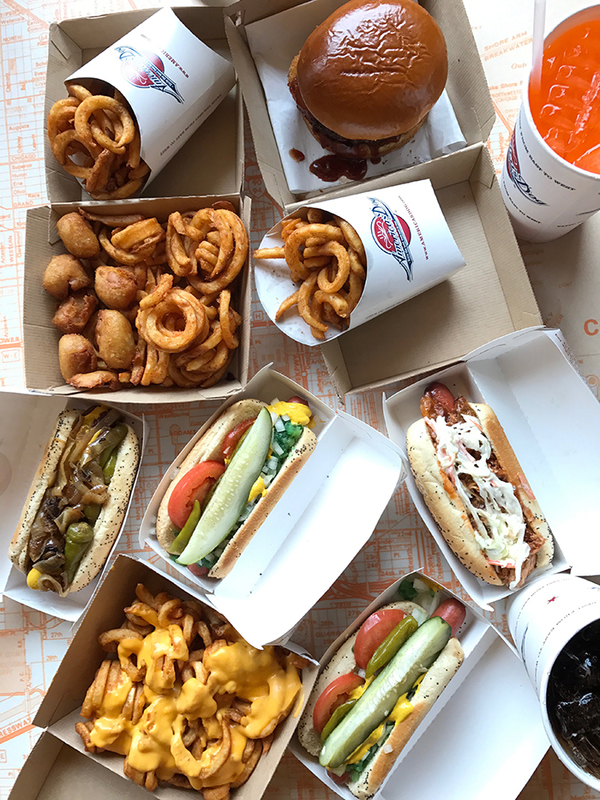 While everything we tasted was DELICIOUS, I am still a Chicago Dog girl. 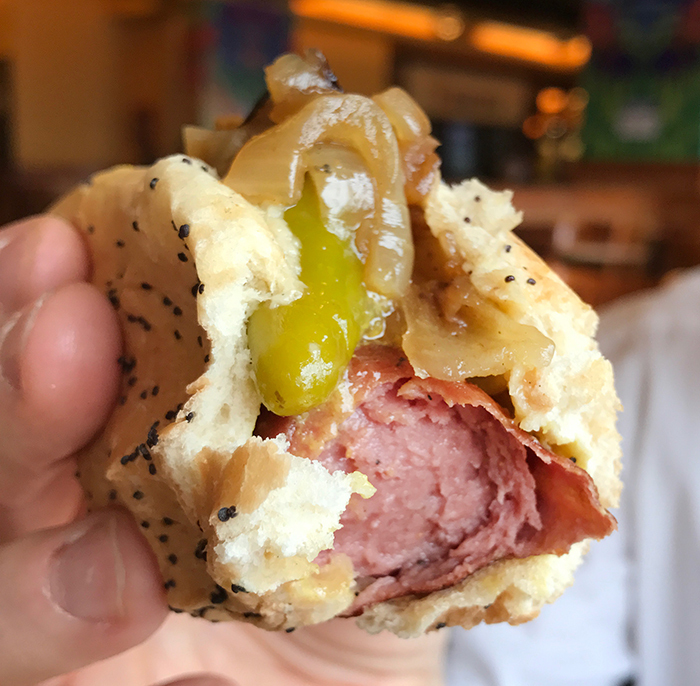 Seriously, what makes a Chicago hot dog so tasty? 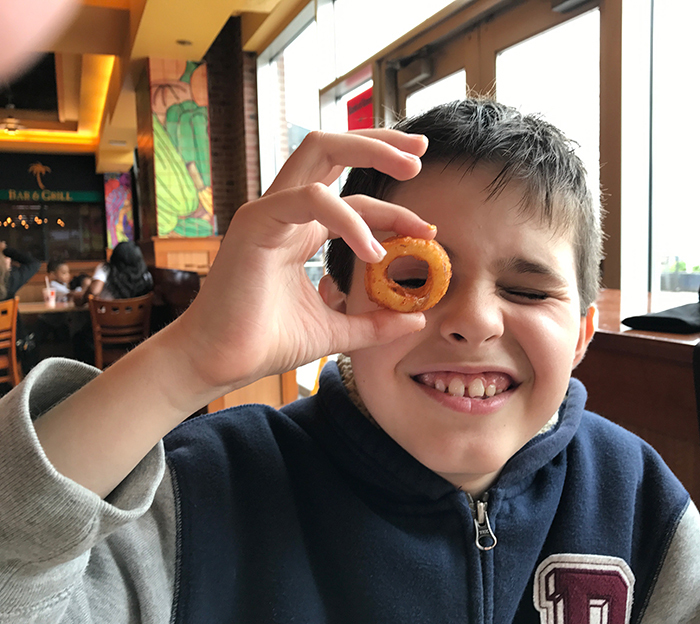 My son wants to go back this weekend and try the Dallas dog. Check out their menu. Which would you try?